Build a real-time chat application using Vue.js powered by ChatKit. The ChatKit service will provide us with a complete back end necessary for building a chat application on any device, leaving us to focus on building a front-end user interface. 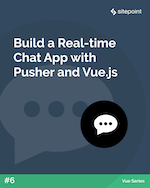 Read Build a Real-time Chat App with Pusher and Vue.js. Build maintainable websites with elegant Django design patterns and modern best practices. Explore aspects from Models and Views to testing and deployment. You’ll also understand the nuances of web development, such as browser attack and data design. 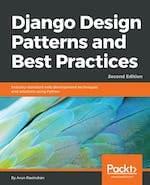 Read Django Design Patterns and Best Practices Second Edition. Learn how to represent data in the form of various types of chart with the help of Chart.js and Vue.js. 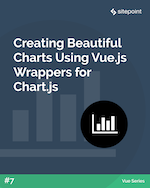 Read Creating Beautiful Charts Using Vue.js Wrappers for Chart.js. Learn isomorphic development in Go, getting a unified view of web and back-end development. 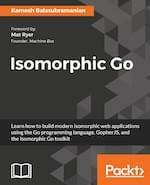 Learn how to build Isomorphic Go web apps. Neatly organize your isomorphic codebase to enhance the maintainability of your app. Leverage the same Go code across the web server and the web browser. 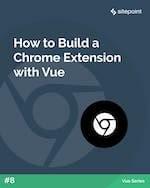 Read How to Build a Chrome Extension with Vue.